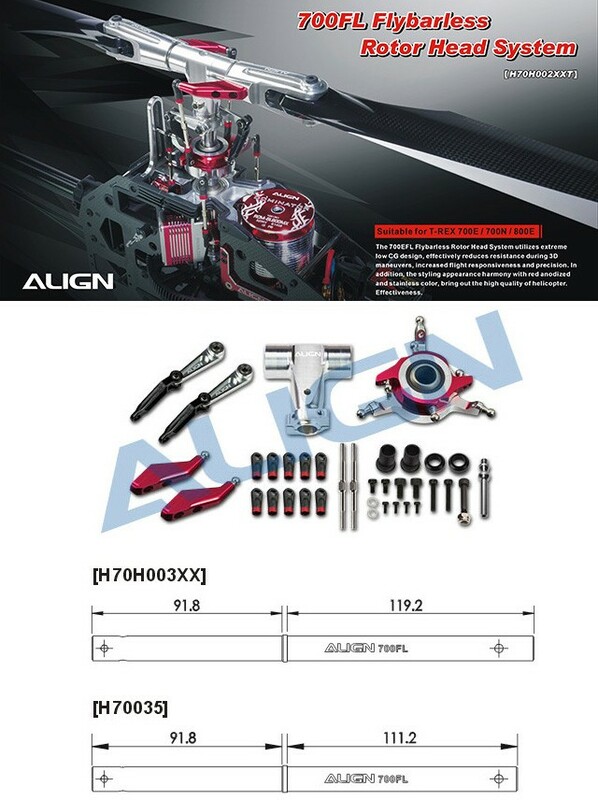 ●The 700FL Flybarless Rotor Head System utilizes extreme low CG design, effectively reduces resistance during 3D maneuvers, increased flight responsiveness and precision. In addition, the styling appearance harmony with red anodized and stainless color, bring out the high quality of helicopter. ●Suitable for T-REX 700E / 700N / 700F3C / 800E.